Subject: LongIsland.com - Your Name sent you Event details of "Lessing’s Hospitality Group Launches “Do Good” Initiative in April "
Lessing’s Hospitality Group (www.lessings.com), one of the region’s most innovative industry leaders,is launching a “Do Good” initiative on April 1st in honor of Earth Day on April, 22. The sixth generation, family-owned and family-operated food service and hospitality business is honoring their commitment to preserving the environment and giving back to the local community throughout the month of April. In partnership with Island Harvest Food Bank), the largest hunger relief organization on Long Island, Lessing’s will kick off the initiative on April 9th with a special Plant-A-Garden event at Island Harvest Food Bank’s 1.8-acre “Giving Garden” in Brentwood. The Lessing’s team will spend the day in the fields planting seeds for this year’s crop which will provide healthy, fresh produce to help support the 300,000 Long Islanders struggling with hunger and food insecurity. April 9th will also mark the launch of Lessing’s social media campaign seeking donations to Island Harvest Food Bank. Supporters will be encouraged to donate to Island Harvest Food Bank through the social media fundraiser “Lessing’s in Partnership with Island Harvest Food Bank” found on the Lessing’s Hospitality Facebook page. The campaign will culminate on Earth Day, April 22nd, 2019 when Lessing’s Hospitality Group will match 100% of the donations made on Earth Day to Island Harvest Food Bank (up to $5,000). Lessing’s Hospitality Group continues their “Do Good” commitment to the environment throughout the year and has made it a mission to reduce plastic consumption and help keep the oceans and lands clean. In 2018, the group joined the international movement #SkipTheStraw and went “strawless” at all ten of the group’s restaurants. The restaurants now offer 100% renewable and compostable straws and bio-degradable beverage stirrers only at the request of guests. Coinciding with the #SkipTheStraw Campaign, all restaurants offer a specialty cocktail made with Naked Turtle Rum, a brand committed to saving sea turtles. As well, the restaurants have converted all take out containers to 100% renewable and bio-degradable Greenware. 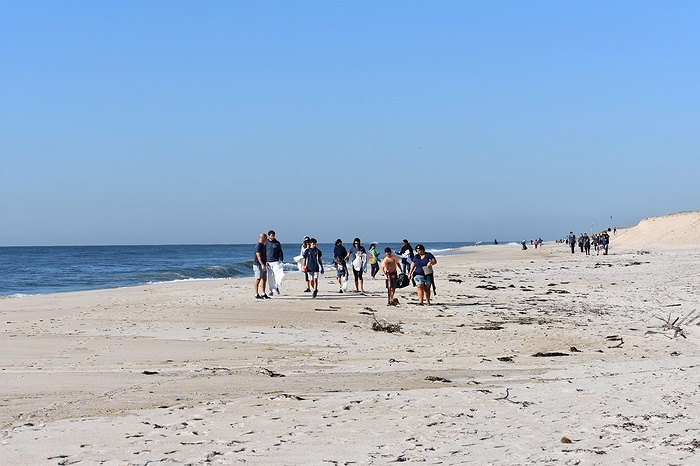 The group’s “Do Good” vow to protect the environment extends to the local beaches as well with their annual “Save the Beaches” beach cleanup at Gilgo Beach each September when Lessing’s team members, family, friends and community members clean up trash at Gilgo Beach in Babylon. The team collected over 400 pounds of garbage at the Save the Beaches event in 2018. Finally, Lessing’s participates in the nationwide campaign, the Crayon Initiative, collecting and recycling used and unwanted crayons reducing the 60 million crayons discarded each year helping to preserve the environment and enrich the lives of hospitalized children through art and imagination. Lessing’s Hospitality Groupis dedicated to supporting the local community and charitable organizations through various “Do Good” initiatives throughout the year. Every April, the Lessing’s Main Street Restaurants honor Autism Awareness Month with a special wine give back, #WineNot?” Ten percent of all proceeds from OneHope Wine sales are donated to “Dine Out 4 Autism (www.dineout4autism.org),” a movement that raises funds for autism research. Recently on National Pancake Day (March 5th) Lessing’s popular brunch spot in Huntington, Hatch, donated 100% of pancake sales to Family Service League (www.fsl-li.org), a Long Island social services agency supporting over 50,000 people in need across the island. Each October the Post Office Cafe hosts an annual 5K race for MPS, raising funds for the National MPS Society (www.mpssociety.org), in honor of Mark and Casey Lessing. Finally in December, Lessing’s partners again with Island Harvest in the Spread the Cheer campaign, encouraging customers to drink beer and give back during the holiday season. Lessing’s pledges to donate 10% of all sales of the group’s private label seasonal brew, Local Cheer, directly to Island Harvest.